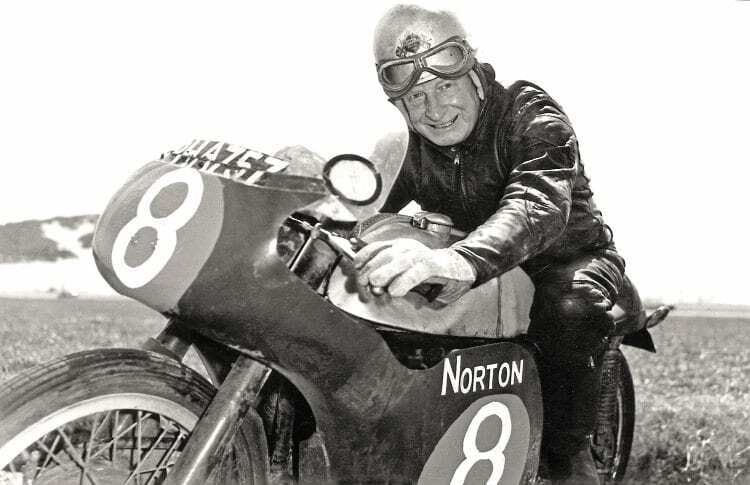 Born in Birmingham, on January 26, 1896, the life and times of Frank Cope make quite remarkable reading – an apprentice gunsmith, the youngest staff sergeant in the British Army, successful businessman, a trials ace, a huntsman, and a motorcycle racer, who didn’t start racing until he was in his fifties. Cope was 14 when he acquired his first motorcycle, a 98cc Moto Zecoch, though passed his test on his father’s Williamson, and the same year entered the gunsmith trade. The First World War then intervened and he joined the 5th Yorkshires, going to France as an artificer. Following the war, he returned to Birmingham and joined the family cycle shop, soon expanding to include motorcycles. In 1919, he won the Colmore Cup on an Indian V-twin before riding works machines for New Imperial and Velocette, becoming something of a sidecar expert and enjoying a lot of success with his works-supported KTT and sidecar. But a fall when out hunting resulted in some serious injuries, mainly sustained from the horse kneeing him in the stomach. He was in hospital for several months and it was reckoned it would be ‘years’ before he could ride a motorcycle again. To continue in trials, Frank acquired a BSA three-wheeled car; BSA ‘put one at his disposal’ apparently, but the front wheel drive vehicle lacked traction at the rear.